Jio has kept the telecommunications market hot since its arrival. The price war it started has led to the never seen before competition in the Indian mobile networks market. Jio claiming its space in the telecommunication market took away a big chunk of other players in the field. In the process, Jio helped customers get the best of their respective telecommunication networks providers. Country's second largest carrier Vodafone India has been very creative with its recharge tariffs. With Jio, Vodafone and Idea as its main rivals, Vodafone has been experimenting with its recharge offers to woo its customers. From its Rs 199 unlimited voice callings plus 1.4 GB of daily internet to Rs 81 recharge that offers unlimited local and STD callings including 500MB of internet data valid for 7 days. Vodafone and Jio have often found themselves in direct competition with each other. The competition leads to the regular price-wars that end up bringing benefits to the consumers. There are various instances when we find ourselves puzzled when it's about getting the best recharge offer. 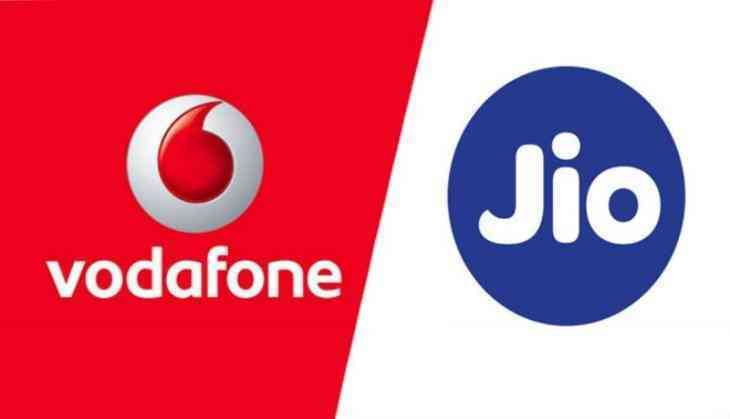 To bring relief to you, we have here worked out a brief comparison between the two most famous plans of Jio and Vodafone. We are today concerned about the popular Rs 399 recharge offers from Jio and Vodafone. Both the carriers have devised their Rs 399 plan in a very interesting way that often confuses customers as to which plan is the best for them. Obviously, The Reliance Jio is the true winner here but one cannot ignore the fact that Vodafone does provide better and more consistent network in certain areas.